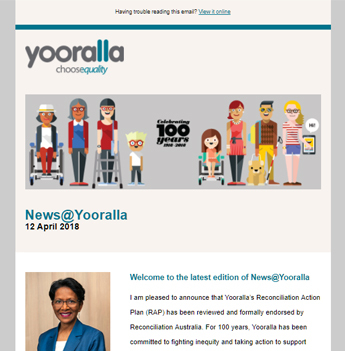 Yooralla hold free, one-on-one NDIS discussions, to help people with disability and their carers to understand the NDIS, no matter what stage of the NDIS journey they are in. International Day of People with Disability, on Monday 3 December 2018, is a United Nations sanctioned day celebrated around the world. It aims to increase public awareness, understanding and acceptance of people with disability and celebrate the achievements and contributions of people with disability.